If You Are An Artist Or Someone Who Loves Art And Want To Start An Art School Of Your Own. 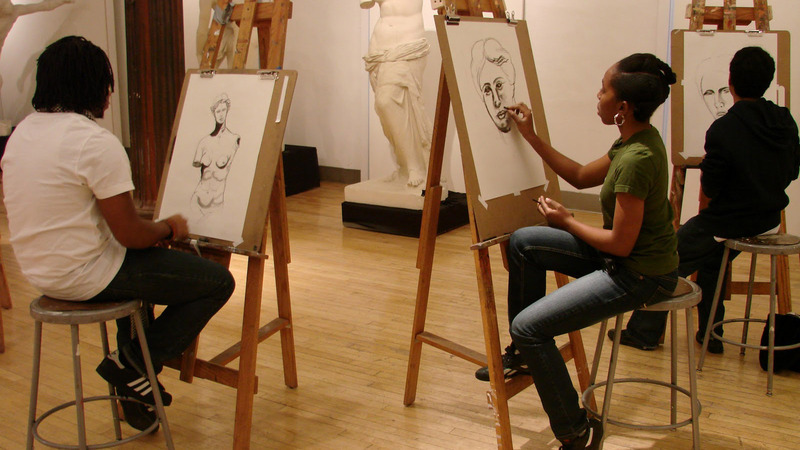 Consider The Following Points Before Starting Your Own Art School. If you’re working towards making art your full-time career, starting an art class business is a great idea. Starting an art and craft coaching is a profitable business opportunity as it requires little investment. It can also be started as a home-based business. Here are the following ways to turn your passion into a profitable business. In order to achieve success, you need to have the knowledge and passion for teaching art. If you have the creativity and you love to paint, draw or sculpt then you may be well suited for it. Assess your skills and know your basic drawing ability to be a successful entrepreneur in this field. If possible, obtain a graduate degree in your specific field, which will enhance your credibility. Create a financial plan including the costs of supplies, class space, student tuition, advertising and monthly overhead costs. Using an area of your home for your business can have many benefits, as no investment are required for the place. Prepare a budget plan for your business. Include the cost of materials if you will provide the students with a kit. Include the infrastructure requirements such as tables, shares, shelves etc. Besides this, you will also require money for advertising and marketing. Planning a curriculum is a major challenge of running your own art school. Determine which techniques you will teach in your classes. Begin with easy to create projects that will take minimum time to complete. This will give the students a real sense of achievement, as they will be able to take home a completed project. Plan a curriculum for at least a year. In the beginning, let the children practice only shapes and lines for a few classes which helps improve wrist movements. You could always expand to teaching technique classes and more advanced project workshops later. This step is a no-brainer. You need to advertise your art school in order to get more people to know about your business and get more students. Get some flyers, pamphlets, display ads printed up and distribute them in books stores and stationery stores. Also, advertise on the internet so that more and more people know about your centre. The ads should explain when and where your classes will be run, the cost, the details of the project, and how a client could go about booking a class. You can also organize workshops or organize art competitions for children in your area, which will help you a lot in gaining recognition.